You will be redirected to a secure Paypal page to complete your order. Early Bird Registration: Place your $350. CAD + GST deposit prior to Sept. 30th, 2019 and save $300. CAD! Feb. 13th - 27th, 2020 is the date set for my 3rd Mid Winter Cuban Salsa Dance and Paint Group Holiday! The registration deadline is set for Oct. 31, 2019. Max. 12 students. We will visit Santa Clara / Trinidad Cuba / Cienfuegos / and Havana; Cuba. Instruction in plein sketching, watercolour and acrylic techniques will be covered! No experience is necessary! Stay with local Cubans and see the real Cuba! Connect with their international artists. Non-painting partners and friends will also enjoy this trip as we enjoy jazz nights, Salsa Dance lessons, historical, gallery tours and enjoy the natural wonders of Cuba! For more information call 1-877-335-7655 toll free in N.A. $350. 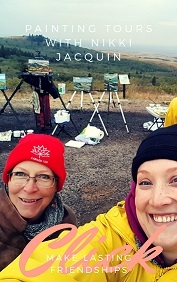 + GST reserves your space in my 3rd plein air painting holiday to Cypress Hills, SK; Canada. The dates set for this year are July 15 - 22nd, 2019. The registration deadline is June 30th, 2019! Tour this diverse ecological area of Sask. 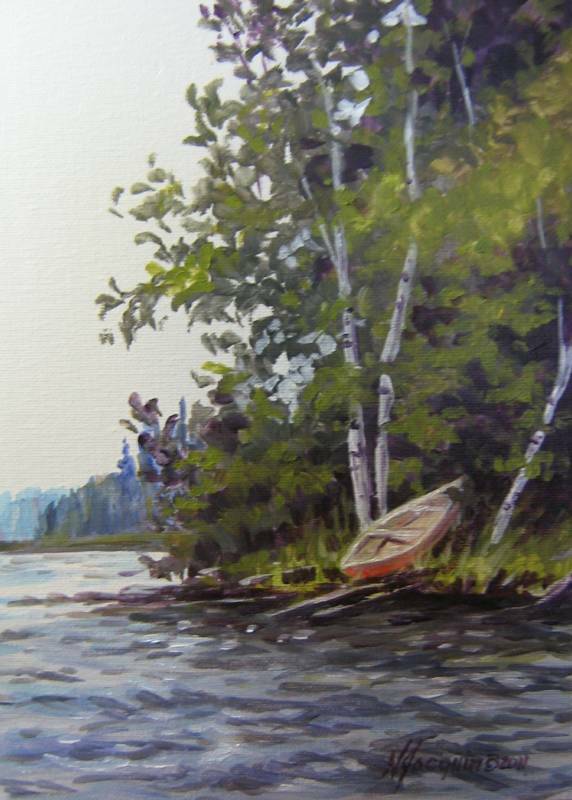 with Nikki Jacquin and learn about the Group of Seven while practicing plein air techniques for watercolour, acrylic or oil. We connect with local artists and enjoy the cowboy culture! Call 1-877-335-7655 toll free for further information. Max. 12 students! No prior experience is required. This price includes art instruction only! (approximately 5 hours of instruction / day. Reg. $10. + taxes now $5. CAD + taxes! Why not make a one of a kind gift created with your very own hands for someone on your shopping list! They will be impressed. This full-colour step by step acrylic lesson plan will lead you clearly to completion of this painting. Each step has a colour image and steps written by Nikki Jacquin who has been approved instructor for www.grumbacherart.com for over 5 years, instructs at the Neil Balkwill Civic Arts Centre and on occasion for the Art Gallery of Regina. The lesson plan will be emailed direct to your inbox within 24 - 48 hours. Reg. $10. + taxes now $5. CAD + taxes! Why not make a one of a kind gift created with your very own hands for someone on your shopping list! They will be impressed. 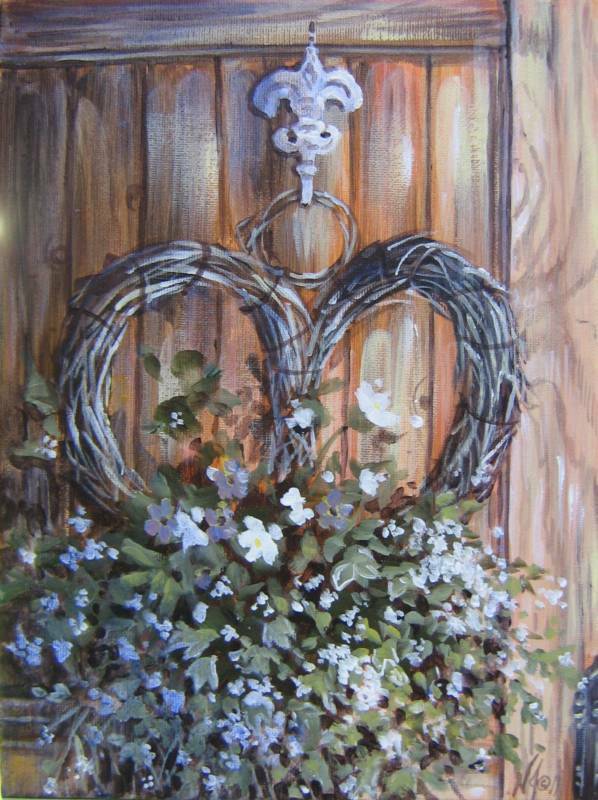 This full-colour step by step acrylic lesson plan will lead you clearly to completion of this painting. Each step has a colour image and steps written by Nikki Jacquin who has been approved instructor for www.grumbacherart.com for over 2 years. The lesson plan will be emailed direct to your inbox within 24 hours. $55. CAD + taxes. 10 x 14 inch image 300 s/n (Only 300 signed and numbered copies were created.) 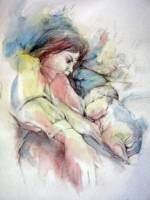 Cuddle time before bed is a special memory for many mothers. Soon they will grow and be too busy to slow down. A wise mother told me the housework would always be there. Each of the reproductions in this edition are hand coloured. So each one is unique. They have been hand coloured by the artist increasing the value.